You know what sounds good this morning? A Latte, but who wants to talk to an over caffeinated barista before you've had any caffeine to get the blood pumping? That's right, no one. Guess who has a solution for you... McDonalds. 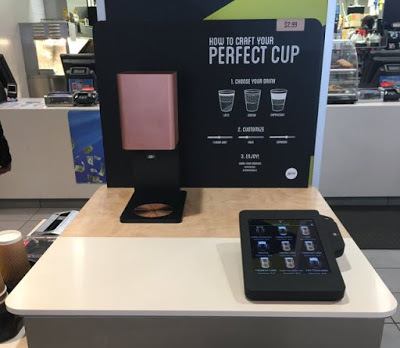 So, if your desire to avoid talking to a human being outweighs your desire to have a quality beverage then you can hunt for one of these automated dispensers at a Micky D's in Chicago. Oh, one thing you should know is that there is no option for good ol' fashion coffee.